For those living in Georgia, going to college today is now easier than ever. With many grants and scholarships made available for Georgia residents, the thought of furthering your education can be made a reality with just a little research and a few forms. The FAFSA, or Free Application for Federal Student Aid, must be filled out prior to applying for any state funded scholarship or grant program in the state of Georgia. Applying for the FAFSA may be done by going to the FAFSA website www.fafsa.ed.gov. The largest and most widely used scholarship in the state of Georgia is the HOPE Scholarship. The Helping Outstanding Pupils Educationally (H.O.P.E.) scholarship and grant program is funded by the Georgia State Lottery and is offered to certain students who have shown consistently high standards of academic achievement. Graduated from a HOPE qualified home-study program with a 3.0 GPA. Graduated from any HOPE qualified high school holding a GPA of 3.0 for college prep study and a 3.2 GPA for diploma or technical status graduates. All students who began or entered high school between 2008 and 2009 must have graduated with a 3.0 GPA. Graduates from HOPE ineligible high schools or home study programs or GED recipients must have scored in the 85’Th percentile or above on either ACT’s or SAT’s. Prospective HOPE enrollees must be seeking a degree and enrolled in a HOPE approved school in Georgia. Meet Georgia residency standards as applicable to HOPE requirements. As well as meeting HOPE’s U.S. citizenship or non-citizen residency status qualifications. Students, in spite of the above qualifications, may be deemed ineligible if convicted of a felony concerning drug use involving any controlled substances, marijuana or other dangerous and illegal drugs. May not be in current default or owe outstanding debts to any other financial aid entity. Students must maintain consistently good academic success as required by their college. There are differences between the HOPE grant program and the HOPE scholarship program. While prospective HOPE scholarship enrollees must obtain certain requirements, the HOPE grant program has less, therefore many students, especially those just out of high school, will often begin with the HOPE grant. Graduating high school seniors who may be interested in applying for the HOPE scholarship or the HOPE grants programs may contact their school’s guidance or career counselors for instructions. Applications and information may also be found online as provided by the state of Georgia at the Georgia Student Finance Commission’s website at www.gsfc.org or by going to www.gacollege411.org for full details. This scholarship is awarded to students based on high academic achievement. Valued near $1,500.00 per year, this scholarship is renewable up to three years while the student is still eligible. Who qualifies for the Robert C. Byrd Scholarship? Turn in all application documentation no later than February 1’St. Applications should be made within the year before high school graduation. Applications can be found in December at your high school counselor’s office. All applicants must receive a nomination from their school. All applications must be fully completed and turned into the Georgia Department of Education (GDOE) no later than February 1’st. Selected students will receive their confirmation letters from the GDOE by July. Awarded students who will be attending a college or university in the sate of Georgia should fill out the on-line application at the www.gacollege411.com website using their student access account. While the HOPE and Byrd programs are widely used by any category of qualifying student in the state of Georgia, other programs are available strictly for non-traditional, handicapped/disabled and minority students as well. A “Non-Traditional” student is anyone who does not meet the usual terms by which a student is considered. Single mothers, the older adult who is choosing to go back to school after a long absence, and those adults who have, perhaps, chosen to go back to school to further their educations due to job loss or career advancement are considered non-traditional students. This scholarship provides the non-traditional student with a $500.00 scholarship to be used only for education related expenses while enrolled in a Southwest Georgia Technical College class as a regular student. Students must meet certain eligibility requirements which include enrollment in a degree, certificate or diploma based course program/field of study usually considered to be gender specific. Composition of essay entitled, “Why I selected (insert career choice) as a career.” With a minimum of 250 words. Present a letter of recommendation from a community leader, fulltime member of the college’s staff at SWGTC, civic organizer, high school counselor or clergy member. Carry a minimum 2.5 GPA – high school or college level- and submit a copy of their transcripts. Because this scholarship is awarded based on both need and merit, all students are required to apply for financial assistance which will also be considered upon review of all applicants. Full-time enrollment for fall and spring semesters (12 undergrad/9 graduate). Although applying before is permitted, students are required to have completed 24 hours of GCSU coursework by the end of their spring semester. Students must carry a cumulative 3.0 GPA minimum; keeping in mind that these scholarships are competitively based. Applications for the Deanna Burgess scholarship, as well as others offered at the Georgia College and State University may be found on-line at their Financial Aid page http://www.gcsu.edu/financialaid/index.htm. This information is provided during the late fall semester for the upcoming academic year with most deadlines falling on the first Friday in February. Georgia residents who have a defined disability may apply for scholarships and grants specifically designated for those with special needs. Information and applications for any of these scholarships can be found on-line at the Margaret A. Stanton Office of Disability Services http://www2.gsu.edu/~wwwods/scholarships.htm. 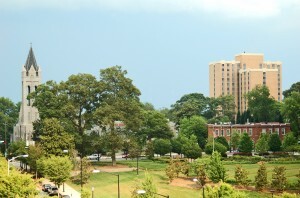 Scholarships for minority students are also available at many Georgia colleges and universities. A minority is considered to be any person from a defined social group that has been historically and socially underrepresented. Member of a student chapter of the National Association of Black Accountants or is affiliated with any chapter of the National Association of Black Accountants. The deadline to apply for this scholarship is May 1’st of each year and with its awards notifications being made in June. For information on this and other minority scholarships at the University of West Georgia, students may go to their website at www.westga.edu. More information on the Georgia Grants and Scholarship programs can be found at the Georgia Student Finance Commission (GSFC) website at www.gfsc.org and at the www.gacollege411.org website. Hi my name is shanna bush, I am a single mom in college looking for scholarships but Im having trouble finding information is there anyone to help. My name is Christopher Chandler and I am a single father I have low income and I am non-traditional student attending Georgia Perimeter College i would like to know are there any grants or scholarships that I can apply for. I know there are a lot of grants for women, but I’m trying to further my education for myself and my son.